Hardly a day goes by that we don't field a call from an insured asking for a certificate of insurance. Most of the time, these are requests for a certificate for the State of Illinois so that the licensee can "run up to the office" and get their state liquor license renewal taken care of. The Illinois Liquor Control has offices in Springfield and Chicago. For most, this is not a brief trip, but rather something you have to clear a morning or afternoon for. You can also renew by mail, but that's not always the best option for the procrastinators among us. But did you know that you can renew your liquor license online and save yourself the trip? As of last September, it's now possible to renew your state liquor license immediately from the comfort of your home or office. You will need a couple of documents in an electronic format - your local liquor license and a certificate of insurance showing valid liquor liability coverage. We can get you the cert in an electronic format - emailing them to you is our preferred method. You get your cert right away and we save a stamp. The local liquor license could be a bit trickier. Many folks don't have a desktop scanner, despite them being pretty affordable nowadays. An alternative would be to snap a picture with your camera phone. Most phones now have cameras that shoot in pretty good detail. Take a picture of your local license, email it to yourelf and save the image file of your license with the Adobe PDF we'd send you of your certificate to your computer, somewhere easy to access. Now, head on over to the Illinois Department of Revenue's website. In the middle of the page is a green box with the heading "Businesses". Find the e-Services link below it and click on it. On the following page, find the link to "File, Pay and Manage Your Account" and click on that. 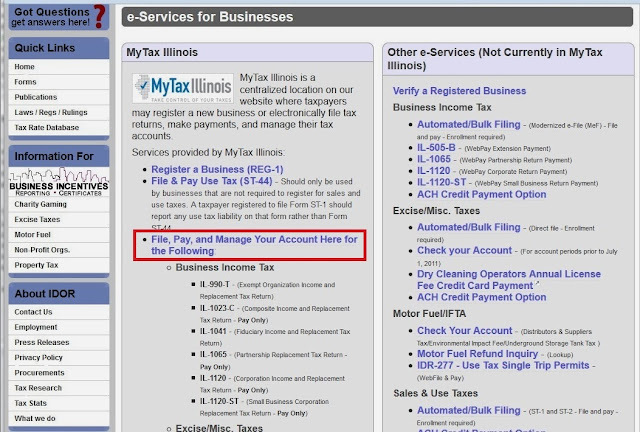 You will need a login for the Illinois My Tax webiste. You may already have one for filing your sales and payroll taxes. If not, it only takes a few minutes to creat a new one. Once logged in, in the menu on the far left, find the link that says "Annual Liquor License". Click on it and you're have to navigate through some questions to verify the information on the license. Once you're done, in that menu bar running vertically on the far left side of the web page, you'll have to locate and upload the two documents needed - your certificate and local liquor license. You can then submit your renewal application. The restaurant owner who pointed this out to us submitted his license renewal on 12/31. 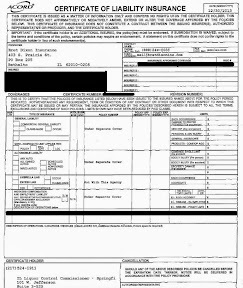 The next day, New Years Day, no less, his liquor license was available to print from the "Letters" section of his My Tax Illinois website (the original was mailed to him by the ILCC). It actually appears to have been processed the same day he submitted it (12/31). He said the process was quick and painless. How often can you say that about dealing with a branch of the government? The Illinois Liquor Control Commission has more information, including some frequently asked questions, available on their website. 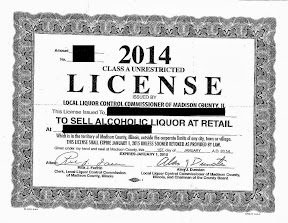 Have you ever used the Illinois Department of Revenue website to renew you liquor license? Ever run into any difficulties using it? What are your thoughts on filing online? Please share on our Facebook page. We want to hear from you.